My brother’s mother-in-law shared with him that she and her husband were doing a version of “The Great Purge”. Seeing as how they are ’empty-nesters’, I thought their viewpoint would be a fresh perspective on the exercies. Thanks Colleen for sharing! We didn’t start purging for any particular reason…there wasn’t an epiphany or anything like that. I have frozen leftovers for years but usually ended up throwing them away. So, one day I looked in my freezer and saw all the extra stuff frozen and decided to take a chapter from the book of “Kristin School of Cooking.” Tod told me how she goes through her freezer periodically and purges. Label your packages! 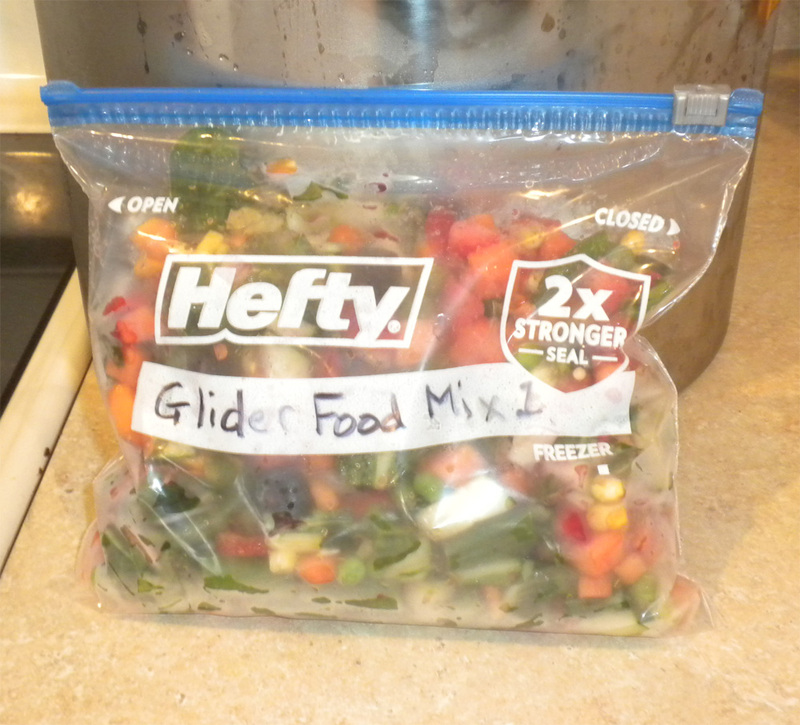 One might think that since freezer bags are clear, it is easy to identify the food item. Not so…plus it’s good to date the package as well. Thank you for the idea…also makes me feel better that I’m not wasting food! Being that we have three kids – two of those kids being middle schoolers – the madness I refer to could be any number of things. But in this instance, I’m talking about #TheGreatPurge. I have made 20 original meals out of proteins and starches from the pantry and freezer. Those dishes have stretched into way more than 20 meals; and although I didn’t officiallly keep track, I would guess that we have gotten 5-8 more meals out of them – totally nearly 30 meals of ‘leftovers’. So, we are in the home stretch, but we aren’t done yet. I still have a soup bone, tazzo ham, cube steak, a rump roast and frozen breaded shrimp to use. I have begged for suggestions on my personal FaceBook page and Indy Call me Chef facebook page. I’m feeling confident that I will be able to use all of these ingredients. I have some tabouleh, penne pasta, frozen cheese tortellini and pumpkin ravioli, frozen green beans and it seems one other frozen veggie item also. I’m guessing that I’m going to get at least 5 more dishes and probably 8 more meals out of the food. If you are interested in a recap of what I’ve made, check out my Pinterest board. I’d love to hear your feedback regarding this madness I’ve dubbed #TheGreatPurge.